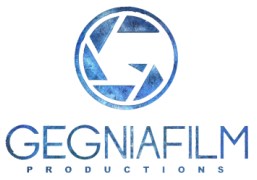 Gegnia Film is a dynamic and creative independent film company dedicated to making high-quality productions for a wide variety of clients. Located in Prishtina, Gegnia Film has produced and developed numerous independent films, music videos and commercials under its supervision. We provide complete in-house service from the initial idea brainstorming, screenwriting, filming and editing. Gegnia Film has purchased a lot of filmmaking equipment, ranging from High Definition cameras, Arri Alexa with a complete set of Prime Lenses, professional HMI lights, redheads, blondes, camera support systems, Cranes, Steadicam, Sit on Tracks and full High Definition post-production editing and delivery solutions. Please feel free to browse through the Images and some of our previous productions and if you think we could work together or hire any of our equipment, please contact us directly via this page or if you like you can contact us using the Facebook and LinkedIn links above.